~For The Love of Stamping~: It's Sale-A-Bration TIme!! Sale-A-Bration comes once a year and runs from Jan to the end of March. 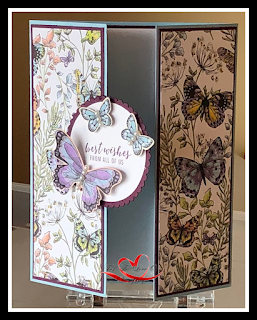 This promotion is the best promotion Stampin' Up! offers. For every $60 net order you place you can earn a FRRE item from the Sale_A-Bration catalog. 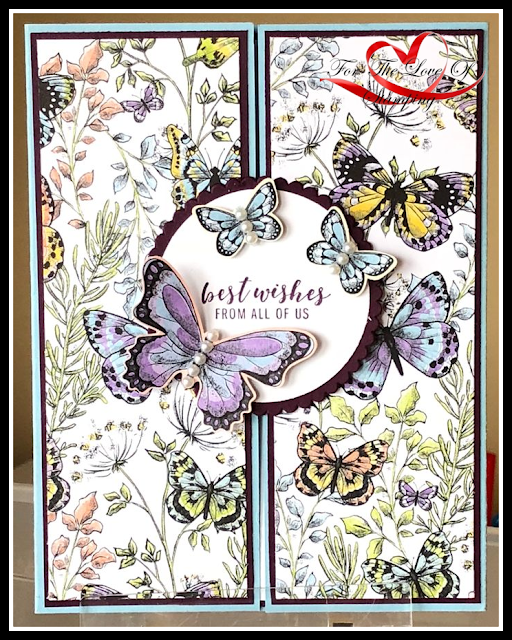 This card features one of the free items from that catalog - it's the Botanical Butterfly Designer Series Paper. 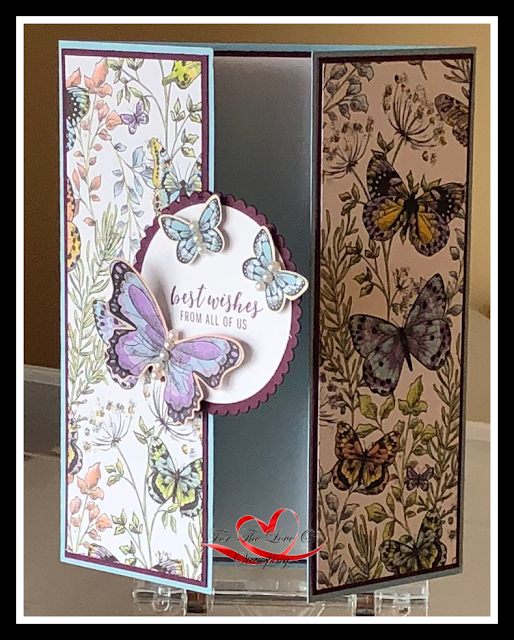 Simply gorgeous paper that coordinates with the Butterfly Duet Punch (new in the Occasion catalog). The butterflies that you see in the center have been punched out from that DSP! Talk about stamping made easy! 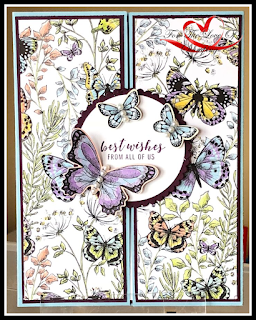 This gate fold card was created using Balmy Blue, Whisper White and Blackberry Bliss cardstock. The center piece has been created with the Layering Circle Framelits.